Nigerians have started an online campaign on Twitter tagged #FreeEvans! This campaign as some people are demanding the release of the billionaire Kidnap kingpin Chukwudubem Onwuamadike aka Evans, their argument being that he’s not as corrupt as most Nigerian politicians in power. Do you agree with them? Checkout tweets below…. Watch CCTV footage of Owerri Bank Robbery below…. Do You Believe That? This woman was unaware she was pregnant until she delivered a baby on sidewalk! 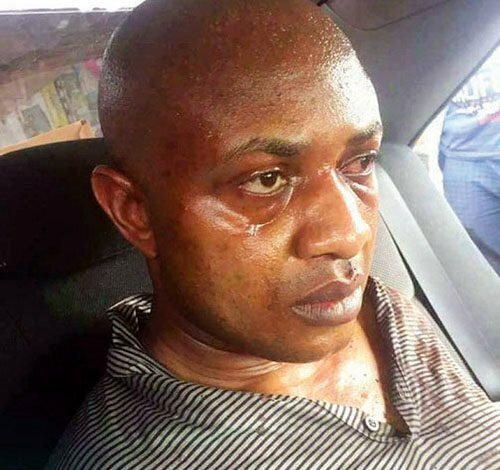 Photos of billionaire kidnapper, Evans’ wife and children crying for mercy!